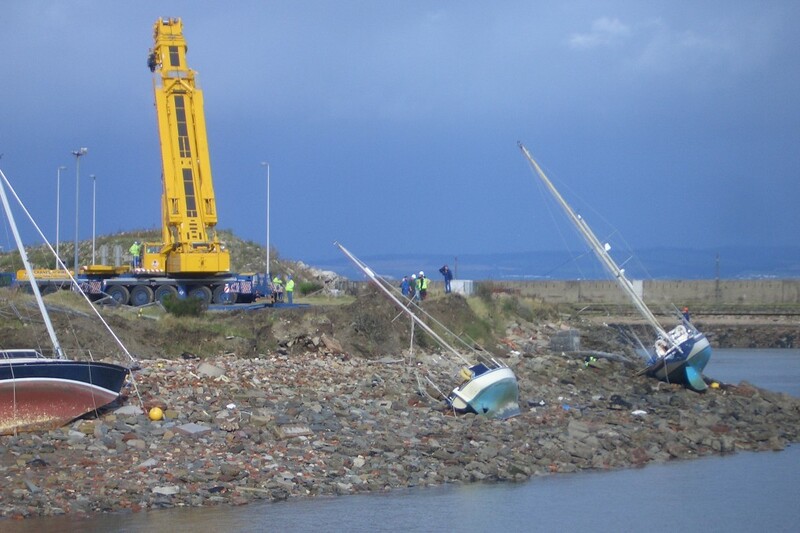 The recovery included two giant cranes and a low loader. 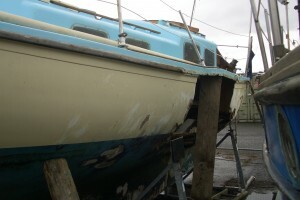 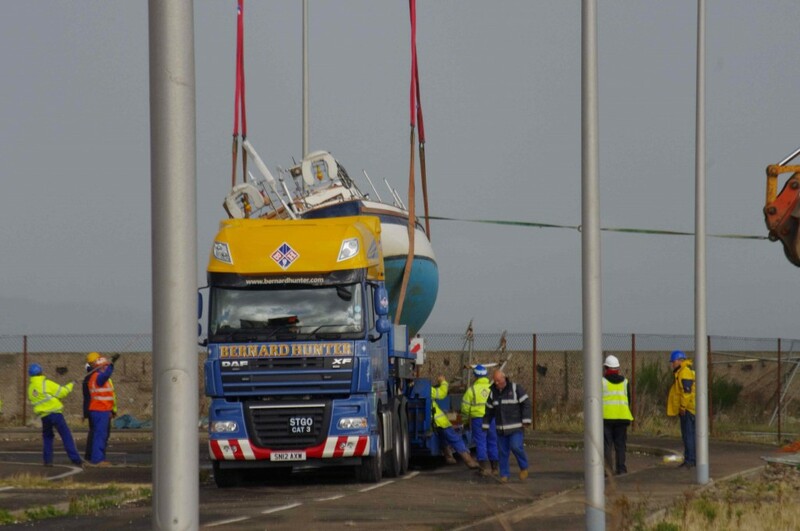 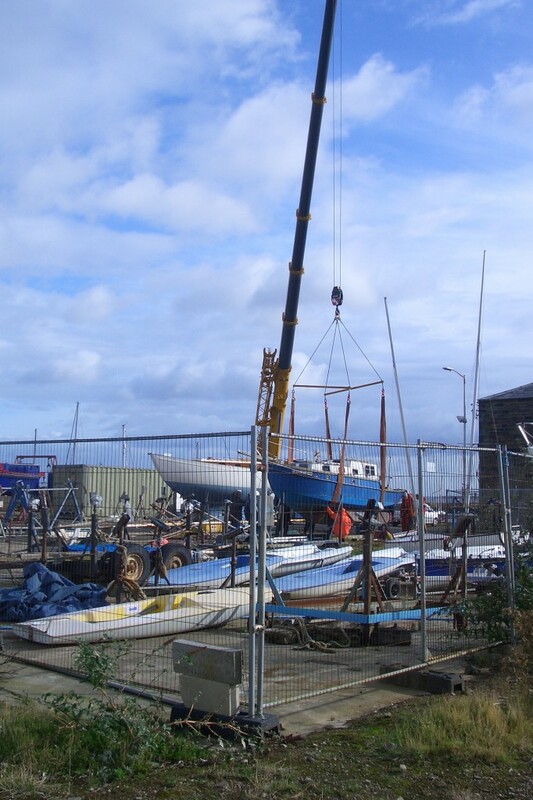 The plan was to lift the boats, one at a time, onto the low loader and transport them round to the FCYC yard where they were to be craned onto cradles for inspection etc. 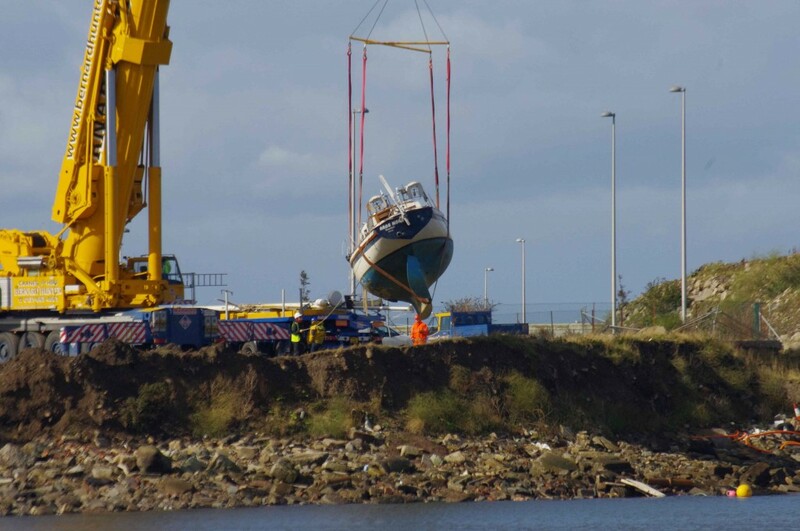 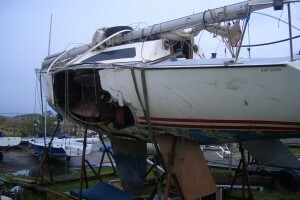 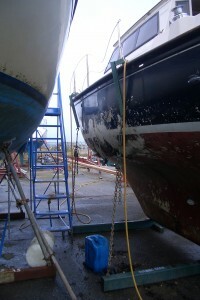 All the boats were successfully moved to the yard where the damage was assessed. 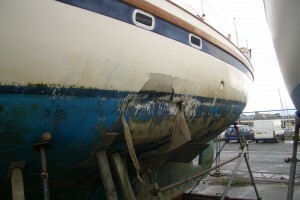 It is severe. 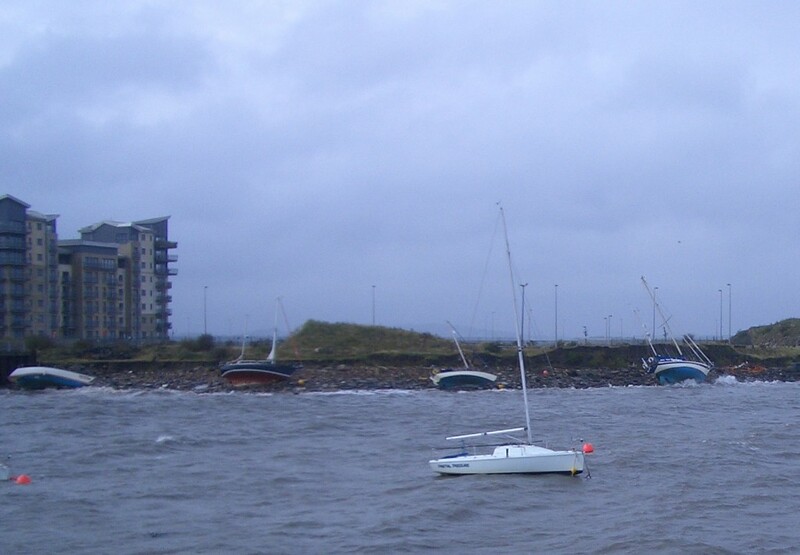 The power of the weather when boats are uncontrolled is all too apparent.